Having children is one of the world’s greatest blessings and responsibilities. Therefore, you are obliged to offer them your unconditional love and support, and guide them through life. This also means providing the best for them, including food, clothes, and toys. And if you’re looking for the coolest unisex baby clothes or comfortable and fun baby t-shirts, you have come to the right place. Go through our following selection of products and pick the ones that will best meet your child’s requirements. This costume is perfect for little explorers who want to look cool for the next Halloween party. It is available in various sizes from 6/12 months to 12/14 years old, so there are plenty of options to choose from. However, we always suggest you pick at least a size larger as children can grow very fast and, sometimes, they even skip certain sizes. The costume is made of a unique blend of polyester and cotton and perfectly resembles NASA’s astronaut costumes. It even comes with the agency’s patches on the front. The one-piece button footed romper is comfortable to put on and take off and will provide increased comfort for your baby. You cannot fall in love at first sight with this adorable baby dragon costume! The product is available in various sizes and is made of 100% soft and comfortable polyester. We do recommend wearing an organic cotton body underneath to prevent any skin rashes or allergies that may be caused by polyester. The jumpsuit features a lined zipper and a snap leg closure for easy dressing and diaper changing. The slip-on booties feature skid resistant bottoms and are specifically designed to be worn inside the house. Also, the colorful design complete with dragon wings, tail, and a head is guaranteed to become the attraction of the party. This cute baby lion costume is available in four different sizes so make sure you pick the right one for your kid. We suggest ordering a size up for a comfortable fit, especially since babies are fast growers. The costume is made of 100% soft polyester that will keep your baby warm and dry all day long. The fully lined jumpsuit comes with a zipper that allows you to conveniently put it on and take it off, as well as change your baby’s diaper easily. The slip-on booties are perfect for toddlers who just learn how to stand on their feet but should be worn inside the house. This cute costume is perfect for baby parties, Halloween or cosplay photoshoots. It is made of 100% soft polyester that is breathable and comfortable. We do suggest wearing the costume with a cotton body underneath to prevent skin rashes and allergies that may be caused by polyester fibers. The lined zippered bodysuit is complete with an attached tail, hood with ears, and slip-on booties that can be used on any type of floor surface around the house. The costume is easy to put on and to take off, and features leg snaps to change the diaper in just a matter of seconds. What better way to help your kid believe in the forces of good and saving the world if not by teaching him or her everything about superheroes? This Superman costume is available in three different sizes and is perfect for babies between 0 months and two years old. It is made of 100% plush polyester fibers and will keep your child warm and comfortable all day long. It is perfect for Halloween parties or colder autumn days and will protect your baby from wind, cold, and rain. The design features a full-sleeve romper complete with Superman’s logo at chest, and a contrasting color removable cape. Disney characters make the perfect baby girl clothes and costumes and Snow White is no exception. 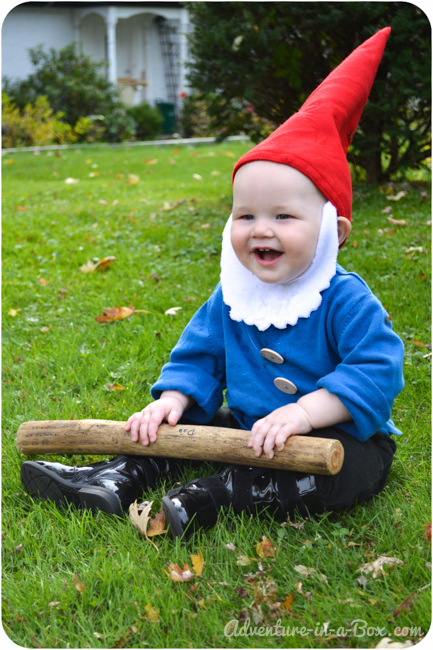 This cute little costume is perfect for infants who are enjoying their first Halloween party or reception. The product is made of 100% polyester and nylon and is breathable and comfortable to wear all day long. This is a Disney licensed product and it closely replicates Snow White’s costume. The dress features an upper blue part with a high collar and puffed short sleeves and a tutu-like yellow bottom skirt with sparkle print. You can complete the look with a pair of white slippers and a headband or hair bow. This cute convict costume is made of 100% polyester and spandex, offering great comfort and allowing your baby’s skin to breathe properly. It is perfect for Halloween parties, themed parties or birthday parties and will undoubtedly make your baby the center of attention. The costume features a jumpsuit with attached mesh tattoo sleeves for a real bad boy look. The snaps allow you to quickly take off and put on the suit, as well as change the baby’s diaper. Also included there are a convict cap and booties that are skid resistant. We recommend using the jumper inside the house only. Who can resist a baby Elvis Presley? This costume is made of 100% polyester and depicts one of the singer’s most famous stage outfits. The officially licensed onesie replicates the aloha costume Elvis used to wear during concerts. The costume includes the onesies, a pair of pants, a hat, and booties so your child could look exactly like the younger version of the famous singer. The product is available in two different sizes, 0-6 month and 6-12 months and will fit newborns up to 17 pounds and 27 inches high. What would be a real Halloween party without at least one vampire and a pirate? This pirate princess costume is perfect for little girls who want to show their bad side. The item is made of high-quality polyester that is resistant, soft, and comfortable to wear all day long. The knee-length fringe dress allows improved freedom of movement for your little girl. The set includes a beautifully colored dress with an attached coat, hat, and a pirate scarf. For an even more authentic look, you can complete the outfit with an eye patch, just like real pirates. This cute costume is perfect for little girls aged 6-24 months. It is made of high-quality polyester fibers and can be hand washed. The set includes a bubble body with a separate hood and a pair of feet covers. The body and the hood are made of chenille which is soft and comfortable. It is also thick enough to keep your baby warm all day long. The sweet lamb costume is perfect for Halloween parties, birthdays or trick or treating. Most of the customers who ordered it claimed it fits true to size and that it is high-quality. If you’ve recently started the quest of finding the cutest baby costume there is, we’ve got bad news for you: the market is overflowing with products, and it’s virtually impossible to make a decision about the best baby costumes without finding something even better the day after you’ve placed the order. Since there are thousands of funny baby costumes for Halloween that you can choose from, suddenly picking the best costumes for baby girl or boy is not such an easy call. The idea that you can find something and then be disappointed because you’ve seen a better alternative may throw you off track. There are tons of funny baby girl costumes, as well as there are many alternatives for boys and for the parents who don’t raise their children following binary genders. 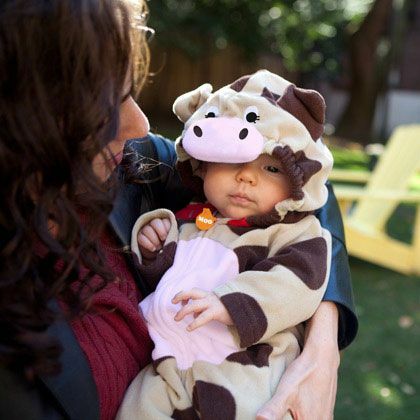 However, the top baby Halloween costumes have a few common traits. Because we care about your time and your decision-making process as a whole, we’ve decided to walk you through the most relevant criteria that the favorite costume should match. Hopefully, at the end of this article, you’ll find it easier to make your choice, based on the most relevant factors for you and your baby. Just like in life, there is no one-size-fits-all solution here. However, there are a few parameters that all the best choices will always include. The following criteria are listed in the order of their importance so that the basis of your decision is fully covered by the end of this article. The short buying guide below will feature everything you should keep in your mind, so that you can focus on spending quality time with your kid, instead of endlessly looking in the Internet pit of great products. Choosing the character your kid will be is one of the toughest choices you have to make as a parent faced with the decision of having to purchase a costume. For once, there is the pressure of knowing that your kid may one day in the future look at a photo album and not recognize the character, since many of the stars in our world are temporary and will be forgotten in a matter of years or even months. Because you want your kid to have the most amazing photo albums when growing up, you may want to make sure that you’re going for a fictional character that will resist the test of time. Marvel and DC are great sources for costumes if you want to let yourself inspired by their characters. Secondly, you may want the character to be someone your kid likes and in no way a character that is too scary. Because the early memories and associations are so important in a kid’s development, you would want to make sure that your child will not fear the character you’re dressing him or her as. At the same time, you could also look for a funny character or one that will make your grown-up friends laugh as much as it will make your kid appreciated. Funny characters are not always easy to come across, but you can still try to find something that will be subtle enough to give your baby a reason to laugh after growing up. When they’re small, kids develop their immune system. Because you wouldn’t want your child to develop allergies growing up, you could be as creative as you want with the material from which the costume is made. However, if your kid is smaller than the age of two, you would want to make sure that there will be no rash caused by the material. A good way to do this is to expose him to the type of fabric before getting the costume, and see how the skin reacts. Concerning the material the costume is made of, you should pay special attention to the weather and the season that the costume is for. While many parents tend to overdress their kids, it has been scientifically proven that overdressing can stop or slow the immune system from developing properly. Because of this, you should pick a costume of the material thickness that you would wear yourself that time of year. Very often, babies have colors they feel strongly about, either because they like them or dislike them. Encouraging your kid to dress in their favorite color is great for their education because it allows your child to feel secure and protected. From the way, you talk to your child to colors, everything matters at a small age. Because of this, you would like to make sure that the costume you’re buying for your kid is a color that the baby will enjoy wearing, otherwise not only will the kid be cranky the entire time that costume is on, but you will not be able to enjoy your evening either. Plus, you wouldn’t want to make your baby feel uncomfortable. The best mix for a costume would be one that is both based on a character your kid loves and has the colors the baby likes. This way, you’ll be sure that your baby will love wearing the costume. When it comes to the size of the costume, you should keep in mind that the smaller your kid is right now, the faster the growth rate. Because of this, you may want to keep in mind that before the following holiday your kid may not actually be able to fit in the costume you’re purchasing now. There are two ways to take this into account: either a) you buy a costume that is not that expensive so that you won’t feel sorry when your kid outgrows it or b) you buy a larger size, so that your kid will be able to wear the costume more than once. The important thing to keep in mind is that children get very attached to the things they like, from the security blanket to the favorite toy. If your child will like this costume a lot, outgrowing it will cause sadness, so maybe you should take that into account as well.